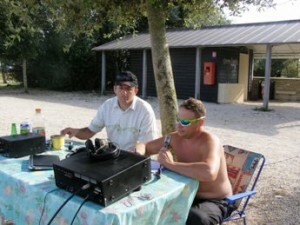 Founded on 1 July 2008, the Dx Adventure Radio Club (DA-RC) focuses predominantly on 11m (or Freeband) DX work and, although we touch upon other aspects of the hobby, such as ham, SWL, emergency and military services, 11m is our core business. 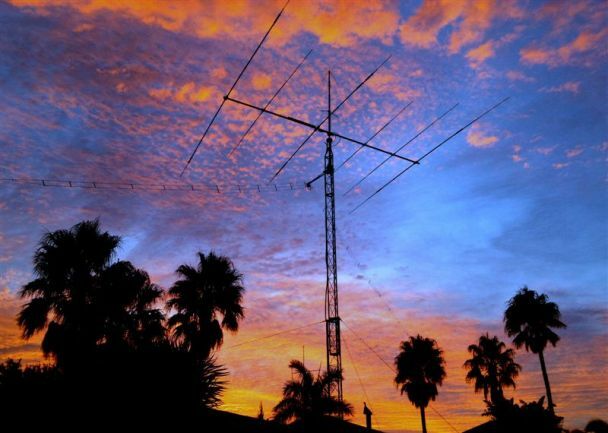 While not the expectation, most DA-RC members are amateur radio operators who also enjoy operations on 11m or citizens band frequencies, or, aspiring hams whom are hoping to learn the hobby of radio comms in more depth and achieve their license. The DA-RC is a platform for that learning. 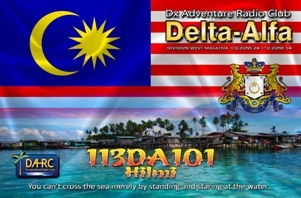 As licensed hams, DA-RC members are busy in the field of Islands On The Air (IOTA), popular members of DXpedition teams around the world and active on the many hobby forums, including on the ‘Hams in the DA-RC’ Facebook Group. DA-RC Hams are easily identifiable also by their special QSL cards which contain the club’s logo and banner. 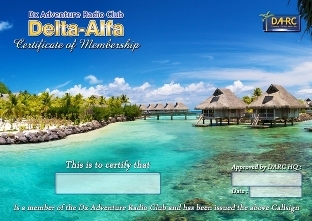 On 11m frequencies, DA-RC members are easily recognizable by their ‘Delta-Alfa’ callsign and individual unit number, stylish QSL cards, and professional demeanor. We lead and are involved in world class DXpeditions, contests, forums, field days and so much more. Users of this band maintain that 11m is one of the true great DX bands, one which provides opportunities to work friends and rare DX not always possible on other bands. Short Wave Listeners (SWL) associated with the DA-RC are also issued with special callsigns which comprise the prefix DA-SW followed by a unique unit number (e.g. DA-SW01). 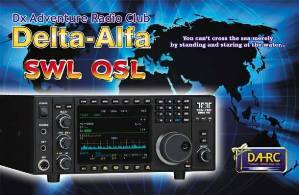 Members are also easily recognizable in the SWL community by the their special DA-RC QSL cards. 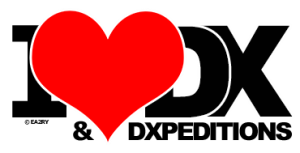 DA-RC endeavors to promote and support DXpedition activities on all bands conducted by members through multi-faceted sponsorship efforts from its members, including the DA-RC Headquarter Team. Providing human support-QSL Managerialship duties, correspondence to authorities, preparation and packing of equipment for DXpedition travel, assistance with transport to and from departure lounges, putting together an itinerary, advertising and marketing the event etc. 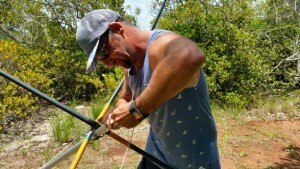 DA-RC endeavors to inspire friendship and camaraderie by using its extensive network of members and resources to link like-minded individuals for the purpose of DXpedition adventure. Such is the remarkable nature of DXpedition experience that it is not uncommon for friendships developed during these special hobby adventures to last a lifetime. DA-RC Mentors are suitably qualified persons who represent one or more of the 5 ‘Entry Classifications’ (DX Chaser, DX Leadership, DXpeditioner, Honorary and Short Wave Listener). They consist of radio engineers, retail outlet owners, product representatives, licensed hams, experienced DXpedition adventurers, DX Hunters, and others who are committed to both improving members’ competencies and the betterment of radio communications in general. To download a copy of the membership form or to read frequently asked questions (FAQ) about the club and how we operate, please click MEMBERSHIP FORM.